All finished. Not much to say about it. You saw the top in the previous post. I quilted it along the chevron lines and across on the sides of chevrons. I usually end up quilting more densely than I plan, but I like it that way. I used one of the striped sheets for the binding.And I made envelope opening in the back. Now I will never have wrinkled pillowcases with pillow inserts half out anymore. This particular one might end up in the quest bed, just because I don’t have any pink linens, but I am going to make more. 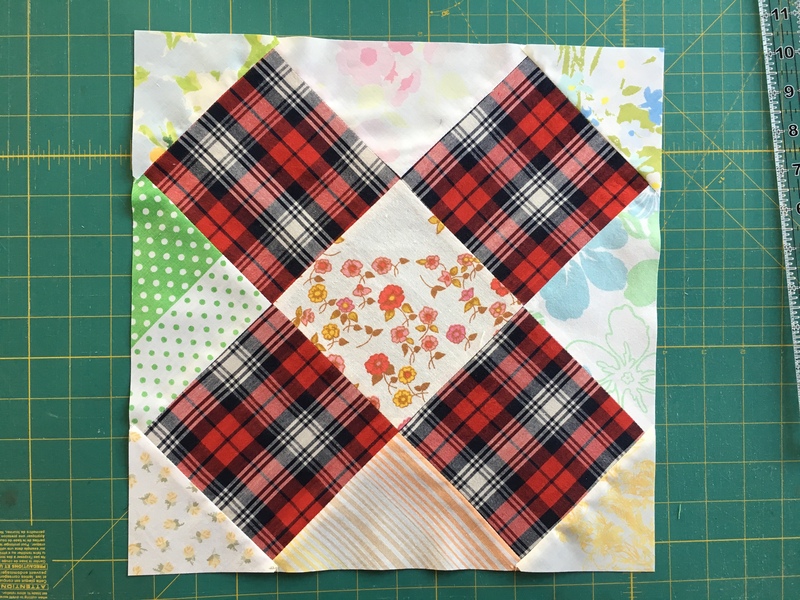 This is a perfect size for trying out patterns – you can finish up quickly and use it right away. This entry was posted in pillow, quilting and tagged pillowcase#1 on June 6, 2012 by flekka. Really cute! Way cuter than the pillow shams I usually see. Like you, I love the stuffed look more than the loose fitting look.